Alpha Aviation is looking for A&P Mechanic immediately. Read more – ‘Looking for A&P Mechanic　’. 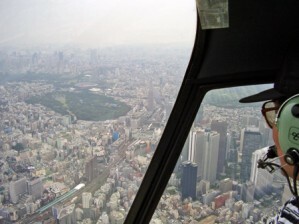 Please contact Alpha Aviation if you are interested in the sky tours in Tokyo area. Read more – ‘Welcome to our sky tour in Tokyo’. Training environment had been upgraded!! Read more – ‘Looking forward to 2019’. Alpha Aviation has maintained a perfect safety record for 33 years since its inception in 1985. Read more – ‘Perfect Safety Record for 33 years Anniversary!!’. In 2018 July 23 to 30, EAA AirVenture Oshkosh fly-in convention had held in Oshkosh, Wisconsin. More than 500000 people attracted and over 10000 airplanes flied-in here. Read more – ‘Reports form EAA AirVenture Oshkosh 2018 〜Amazing Demo Flights!!〜’. The construction of the 2nd hangar at Alpha Aviation North Kanto Operation Center has been completed. Read more – ‘The construction of the 2nd hangar has been completed!!’. Alpha Aviation has maintained a perfect safety record for 32 years since its inception in 1985. Read more – ‘Accident-free for 32 years!!’. 2017 HAI Heli Expo was held at Dallas, USA. Read more – ‘2017 HAI Heli Expo at Dallas’. Read more – ‘Toward to 2017!!’. – Breaking news – Foreign trainee have passed the practical test of commercial pilot for helicopter! Read more – ‘– Breaking news – Foreign trainee have passed the practical test of commercial pilot for helicopter!’. Read more – ‘Coverage of Robinson Helicopter broadcast live all over Japan’. 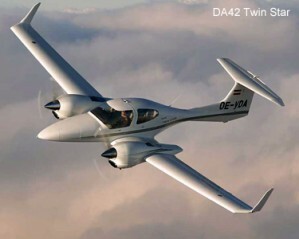 Mr. A completed and passed the multi-engine airplane DA42 type rating in the time frame planned. Read more – ‘Multi-Engine Rating in the Pocket!’. Congratulations! Two more of our graduates have succeeded in getting employment! Read more – ‘Double-employment!’.